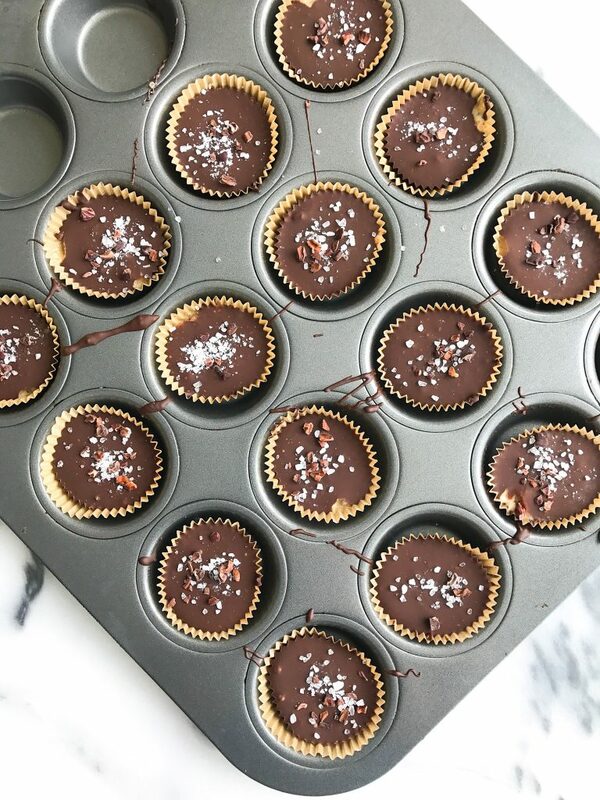 Frozen Dark Chocolate Tahini Cups with a Crunch, filled with chia seeds and healthy goods! Pretty sure my new favorite dessert combo is tahini + dark chocolate. 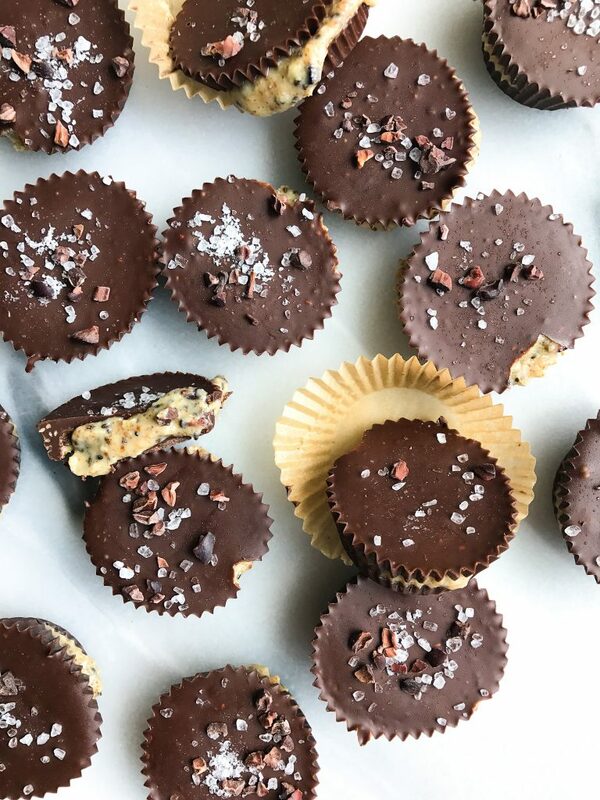 It all started with those Chocolate Chunk Tahini Cookies and now we are making Frozen Dark Chocolate Tahini Cups with a Crunch. Emphasis on the crunch friends. 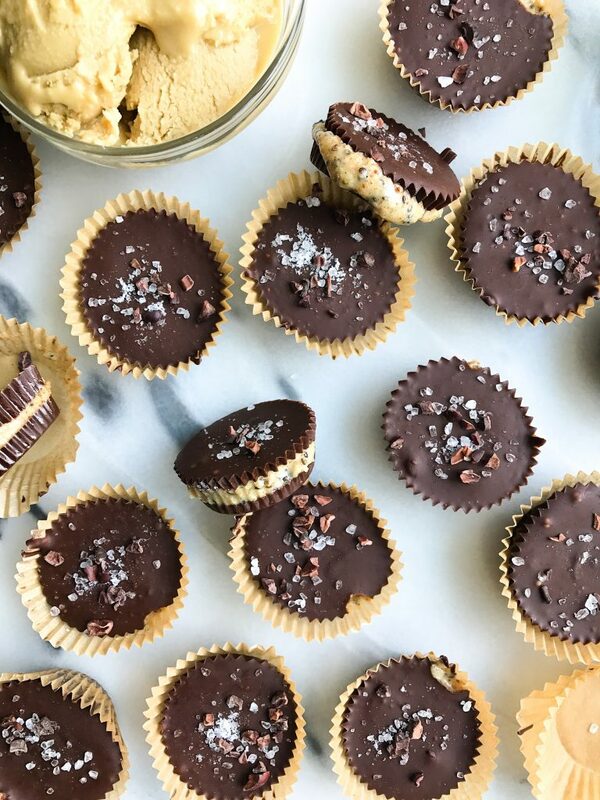 Making your own chocolate cups for dessert and snacking is SO easy. They stay well in the freezer for awhile and you can really diversify them but adding pretty much anything you want in them flavor wise. This is my current fav combo because the tahini isn’t overpowering but adds healthy fats and a creamy consistency inside. I use chia seeds in the melted chocolate and they add such a yummy crunch and I am getting extra nutrients from adding some chia into the mix. Up until I discovered If You Care, I really never paid attention to how much tin foil, plastic wrap and basically every other product that is horrific for the environment. If You Care is such a magical brand on an important mission. The are creating the most environmentally friendly kitchen and household products for us. I discovered them in Whole Foods and first bought their parchment paper. I use the parchment paper to line my baking tray in the oven, wrap random items for the fridge, etc. If You Care offers a full line of products that are good for us AND the environment at the same time. They sell everything from sandwich bags to baking twine to pie dishes. I also use their gloves for washing dishes, sponge cloths and cheese cloth for making nut milk. 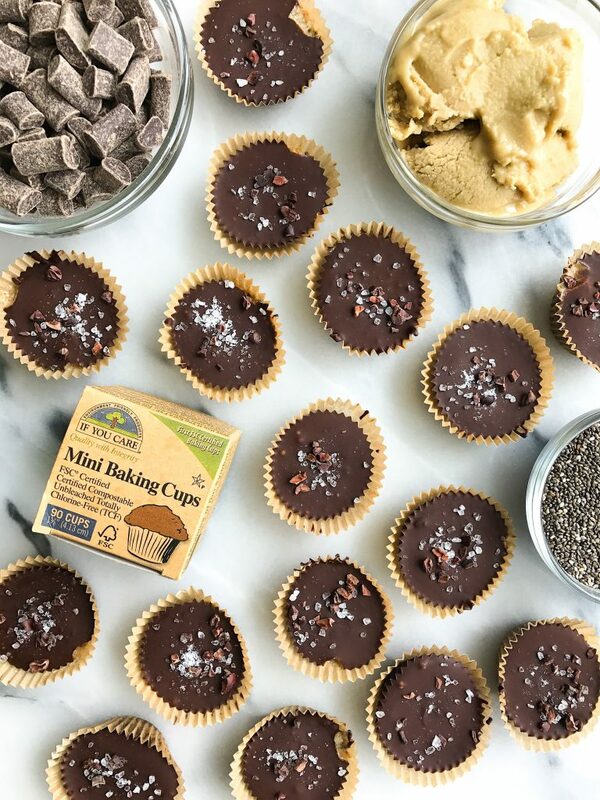 My absolute favorite If You Care product is the mini baking cups (duh). They make chocolate cup making 100x easier and they are honestly just so cute. I share a few of my other favs on the shop page here. Place back in the freezer for another 20 minutes and enjoy! Thank you If You Care for sponsoring this post. It means so much to me to work with brands that I love and who support rachLmansfield! I’ve never heard about ICare; it sounds like a wonderful company. We have some silicone baking cups which have been such a blessing for saving paper. And these chocolate cups sound like a perfect treat to pop into your mouth when you’re needing a sweet treat. These look amazing! Could I leave out the chia if I don’t have any? Is it just for crunch, could I sub with more cocoa nibs? Thanks!